Perhaps you’ve heard of iReliev’s one-of-a-kind Dollar Electrode Pad Club. It’s a great way for those who are already benefitting from a TENS Unit or EMS Therapy to benefit even more. iReliev’s Electrode Pad Club allows members to save money and time through a flexible and convenient program that automatically sends new electrode pads when you need them. All you have to do is sign up! Here are six of the biggest perks of being in the club. Electrode pads can be a little pricey. Affordable, certainly! 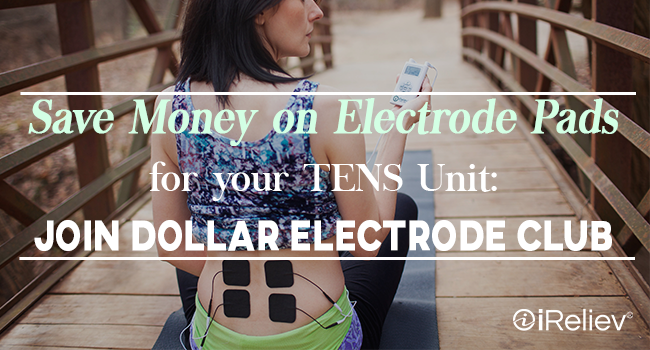 But, if you’re benefitting from TENS or EMS treatment on a daily basis, replacing electrode pads regularly can add up. That’s where iReliev’s Electrode Pad Club comes in. For members of the Electrode Pad Club, electrode pads start at $1 per pad and go no higher than $3 per pad. At iReliev, we are doing our part by bringing you great electrodes for as low of a price as possible. To get an idea of what a great deal that is, consider this comparison. If you choose to buy a refill kit of six electrode pads on its own, it can cost anywhere from $30 and up. For instance, the HCPCS A4595 pads cost $31.47 for a set of four. That’s $7.86 per pad. If you think of that in context of Medicare reimbursement, it’s no wonder that the Medicare fund is going broke! As you’re hearing about these low prices, you’re probably waiting to hear the catch. But there is no catch! iReliev genuinely wants to provide quality electrodes for a low price and to prove it, we offer free shipping to members of the Electrode Pad Club. We’ll deliver electrode pads to your doorstep as quickly as we can for nothing but the cost of the pads. 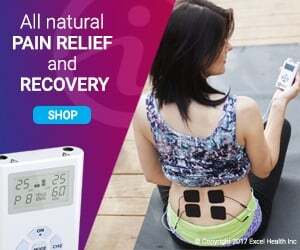 As an additional perk to all Electrode Pad Club members, we offer 15% off of anything on iReliev.com. Have you been interested in trying out the Mini Wireless TENS Pain Relief Patch? Or maybe the Back TENS Unit? Our hope is that a membership in iReliev’s Electrode Pad Club will encourage you to try out more of the many versatile ways in which electrotherapy can serve you. When you hear that we’re selling you pads for as low as $1 a piece, you might be thinking that it’s too good to be true. Too often low prices mean cheap products, but that’s simply not the case at iReliev. After all, our mission is to make the benefits of electrotherapy affordable and accessible for everyone, and part of that is providing the highest quality products. The electrode pads offered in the Electrode Pad Club are made with Premium Hydrogel. The most important part: the hydrogel is made right here in the USA. When you join iReliev’s Electrode Pad Club, you’re not promising anything long-term. If you decide that you only want new electrode pads monthly rather than weekly, you can make this change to your plan at any time from any place. All you have to do is login to your account and edit your plan. We’ve designed the Electrode Pad Club user interface to be quick and easy to use so that making edits to your plan is simple. At www.iReliev.com, we made the interface intuitive specifically because we wanted our club members to know that their membership is in their hands. In iReliev's Electrode Pad Club, you are in control. Not only can you change your plan at anytime, change the frequency to 30 days or 90 days, or receive electrode pads weekly, you can cancel it at any time too. We’ve made it easy to do so that you’ll never feel trapped in something you no longer want or need. After all, iReliev’s goal is to make great electrode pads available and convenient to you at a low price, period. When you buy electrode pads for your TENS Unit or EMS therapy device, we want to be your first choice.